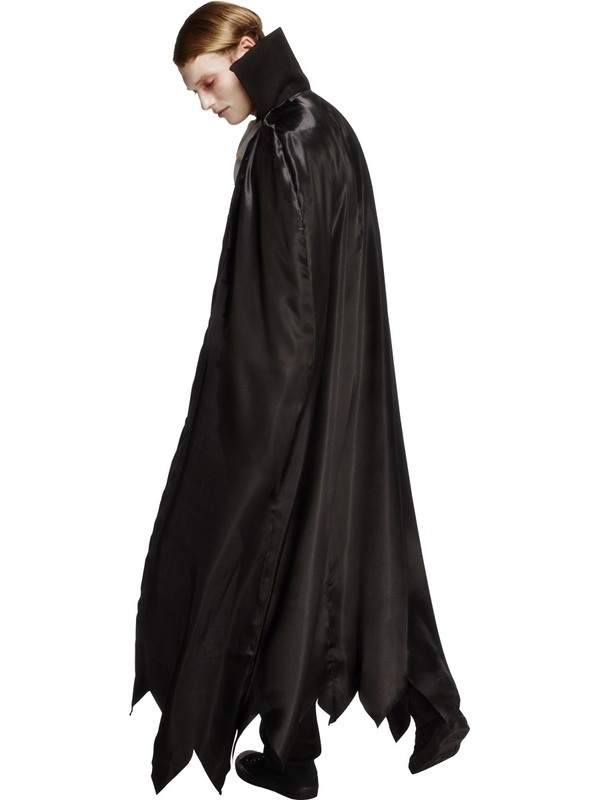 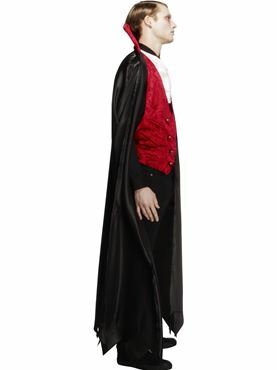 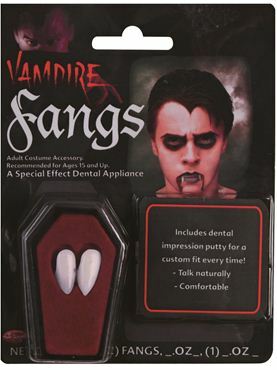 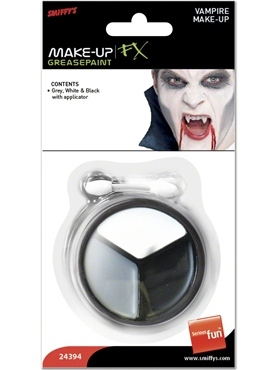 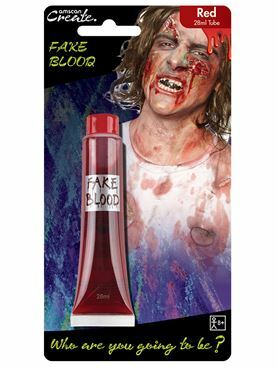 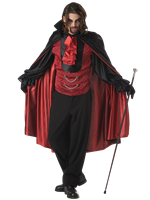 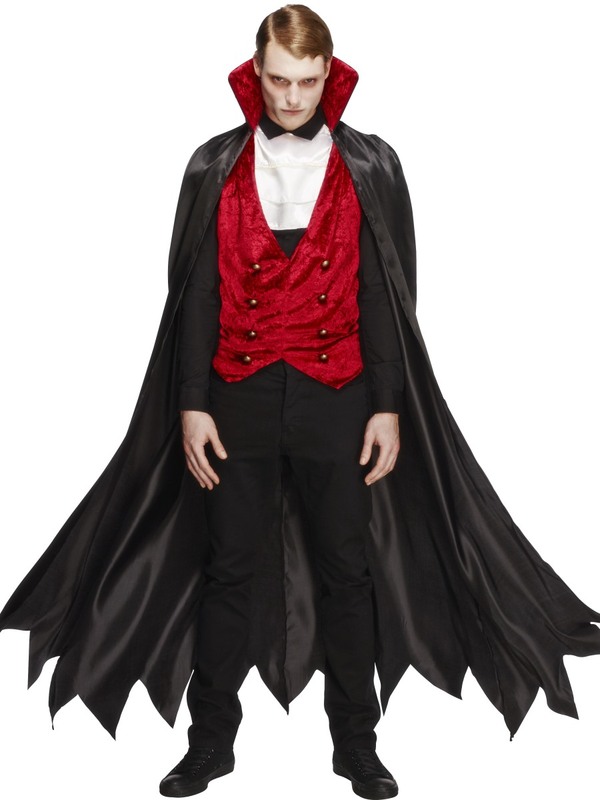 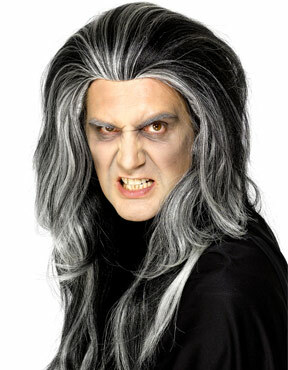 Our Adult Fever Men's Vampire Costume in Black and Red comes complete with the Cape, Mock Waistcoat and Cravat. 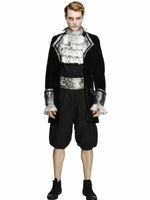 Please note that the Trousers are not included. 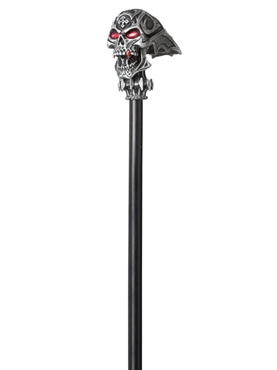 Medium 38" - 40" 32" - 34" 59"
Large 42" - 44" 36" - 38" 63"